There’s more to Millie Mackintosh than meets the eye! You will recognise her as a cast member in E4 reality drama Made In Chelsea but did you know that this thoroughly modern Millie is also a make up artist and beauty product junkie? She also owns a couple of pugs and three tattoos which are a reminder of her ‘bad girl streak’ It’s no wonder then that Millie knows a thing or two about looking good and here at The Grooming Guide we are thrilled that she took the time to drop by and share her tips! How do you like your guys to look? In general, I like not too much hair product. I think, as a rule, don’t be afraid to go for a manly manicure… but no varnish. I think it’s really important to be clean as well! Can guys ever pull off a more made up look? If you mean make up, I reckon as long as you can’t see it it’s fine, just beware of base make-up in stubble oh and even worse a streaky tan! Are they the most common mistake men make with their grooming? No that’s got to be wearing too much aftershave! Do you have any other beauty secrets you’d like to share with us? Most people don’t know that I wear false eyelashes in the day as well as at parties. If they’re subtle, they are a great final touch to a groomed look. Which products are your all time favourites? I can’t live without my tinted moisturiser. 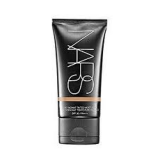 I love NARS Pure Radiant Tinted Moisturiser in St Moritz. 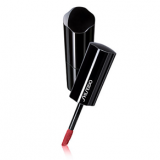 I also love pinky lip glosses like Shiseido Lacquer Rouge. Do you ever manage days without make-up? Yes, It’s good to let the skin breathe. 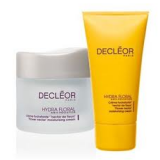 Decleor Hydra Floral for the face and Kiehls for the body. Have guys ever borrowed any products from you? No, never, but I think if a man uses hairspray or deodorant then that’s fine. You released an eyelash range for Nouveau recently. What was the catalyst for your interest in beauty and grooming? I’ve always wanted to strive to be the best possible version of myself. I find beauty really fun! I always have even when I was a child. You are stuck on a desert island and with three products, they are…..? Laque De Rose Lip Balm by Terry, suncream and mascara. 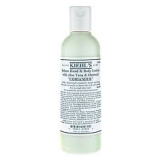 Looking great needn’t be expensive, what are your best budget beauty buys? My lashes are great value for money at under £10 and are re-usable! 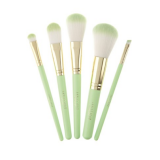 Topshop’s make-up brushes by Louise Grey are also fantastic and affordable.